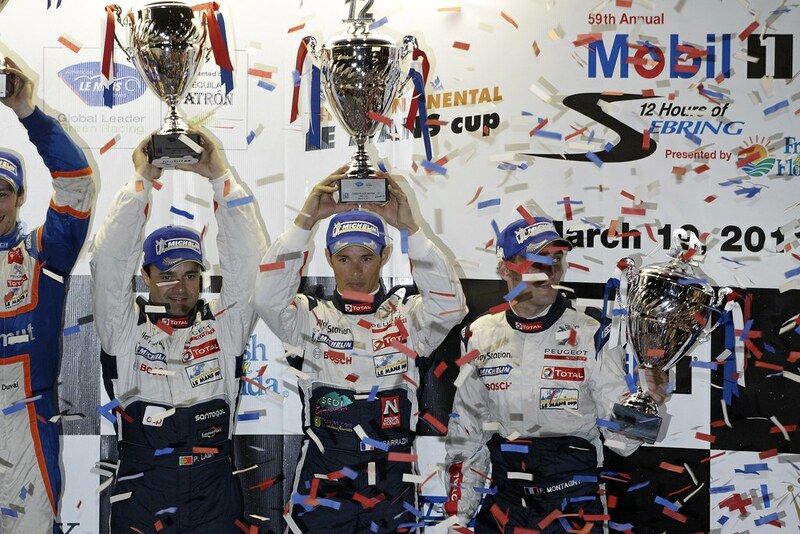 21/03/11 - The new Peugeot 908 sets pole position and earns its first podium finish in its very first race this weekend. 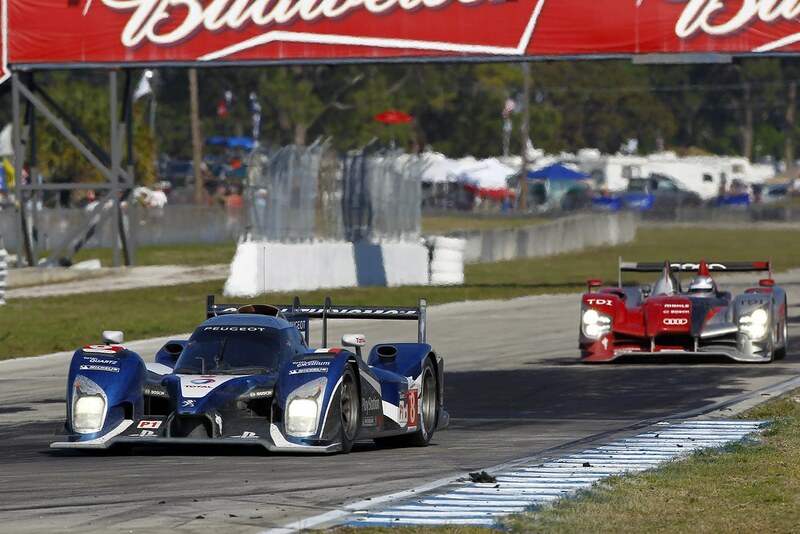 The 2011 12 Hours of Sebring could not have started better for Team Peugeot Total. A faultless qualifying lap saw Stéphane Sarrazin record the new Peugeot 908’s first pole position, in the car’s very first race. The second car also secured a second row starting position to place both cars in an ideal position for the start of the race. Stéphane Sarrazin, No.8 Peugeot 908: “I waited for four minutes before heading out onto the track so as to avoid the traffic. That turned out to be the right decision, and it was all wrapped up after one lap! I am really pleased with this result. It’s just reward for the whole team, because we have really worked hard in the last few months and it’s been even more intense since we arrived at Sebring. 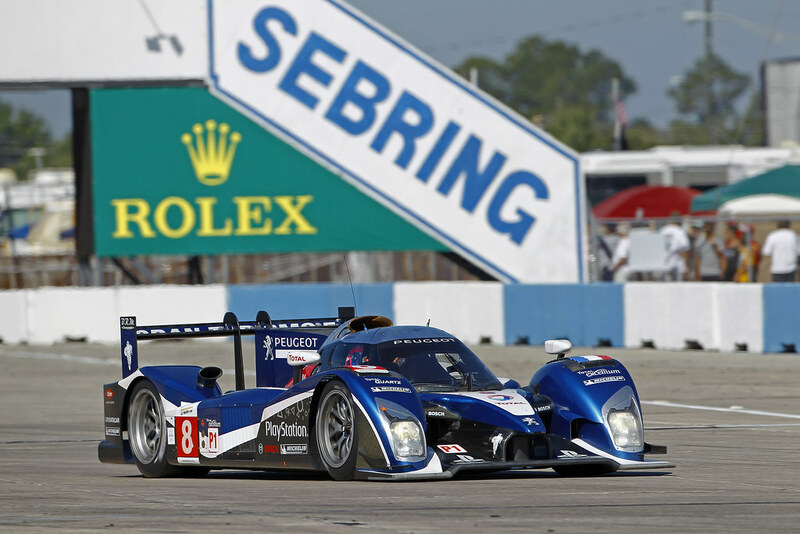 On Saturday morning, in front of a very noisy, passionate Sebring crowd, the two Peugeot 908s dominated proceedings at the start of the race. Franck Montagny was given the role to start the race in the pole-sitting No.8 car and he made the most of his pole position to head into the first turn in front. Marc Gené also wasted no time taking his No.7 car from third on the grid into second place. The two new Peugeot 908’s were the quickest cars on the track, but a series of safety car periods prevented them from building up any sort of real lead. Lap after lap the new Peugeot 908’s continued to run together at the front of the field. Then, on lap 115, the No.7 car’s chances of victory evaporated when it was involved in a collision with the Audi R15+ being driven by Dindo Capello. The car was badly damaged and was forced to come in to the pits to change the front left stub-axle and the clutch, losing the driver team of Marc Gené, Anthony Davidson and Alexander Wurz around twenty laps in the process. “I was level with Dindo Capello”, commented Marc Gené. “I braked fairly late, and we ended up turning into the corner at the same time and coming together. It was a real shame because our car was performing very well”. It was then left to the No.8 Peugeot 908, driven by Franck Montagny, Stéphane Sarrazin and Pedro Lamy, Team Oreca’s Peugeot 908 HDi FAP (Lapierre-Duval-Panis) and the Honda ARX no.01 (Pagenaud-Brabham-Franchitti) to battle it out to win the race. Time and again, the three cars continued to race on the same lap. The standings changing each time the cars came into the pits and during any safety car periods. After a total of just over nine hours of racing the No.8 Peugeot pitted for fuel and tyres. During what should have been a routine stop a damaged radiator shutter required the nose section of the car to also be replaced, losing precious seconds. Franck Montagny, the last driver to take the wheel of the brand new Peugeot 908 pushed as hard as he could to try to make up the lost time and crossed the line in third place, on the same lap as the winner, Team Oreca’s Peugeot 908 HDi FAP. Preparations for June’s race are set to continue on 24th April, with the 24 Hours of Le Mans test day, when the Peugeot 908 will experience this very special and very long – at over 13 kilometres – track for the first time.